When I was a little boy, my parents were fond of the saying “The truth is in the pudding.” I heard them utter this phrase constantly, and I always responded by saying “Show me.” My parents assumed that their son had a thirst for truth and an inquisitive spirit that would not be simply satisfied by colloquialisms and commonality. But the truth is, I just wanted some pudding. As an adult I’ve outgrown those pudding-obsessed years of youth, but my work in the digital marketing world is still dictated by truth. By pudding, if you will. Only now we refer to our tasty pudding by a much less appetizing name: analytics. Analytics make the world go round in digital marketing. Who’s visiting your site? How long are they staying? What pages are they checking out? Your Google Analytics report is an entire smorgasbord of this information all in one locale. But if you don’t know what you’re looking for, it can quickly feel like one analogous soup. So pop that spreadsheet open again and let’s look for the numbers you really need to know. Is your website doing well? The proof is in these numbers. Keywords are an essential component of any successful website’s ability to draw traffic, but they only tell you how people found your site, not what they’re looking for when they arrive. Google Analytics can help with that. Locate your Profile Settings and Site Search Settings, then select the Do Track Site Search option and enter the coding your site has adopted for its search results. By employing this tactic, you’ll be able to see what terms site visitors are searching for by visiting the usage tab under the Content menu. Just as keywords tell you how people are finding your site, this trick can help you decipher what they’re looking for once they get there. Your Content menu is also home to another handy piece of data: your In-Page Analytics report. This report provides detailed data on which sections of your website are drawing the most interaction from users based on the percentage of clicks. Hovering over the links will also show you additional information and where visitors are heading when they click through. This information is invaluable, not only in understanding how visitors use your website but for planning long-term strategy around future website developments. Your site content All Pages and Landing Pages reports are helpful resources of analytical data, so take the time to review these pages dutifully. Your All Pages report shows you which pages had the most views on your site and which pages had the highest bounce rate, allowing you to determine each page’s overall value. The Landing Pages report shows you which pages bring the most incoming traffic to your site and which pages are currently underperforming. These latter pages may need to be the subject of future promotions. The Pages section in your content menu is your home for all the data you could ever want regarding your content. Start with the good news first. 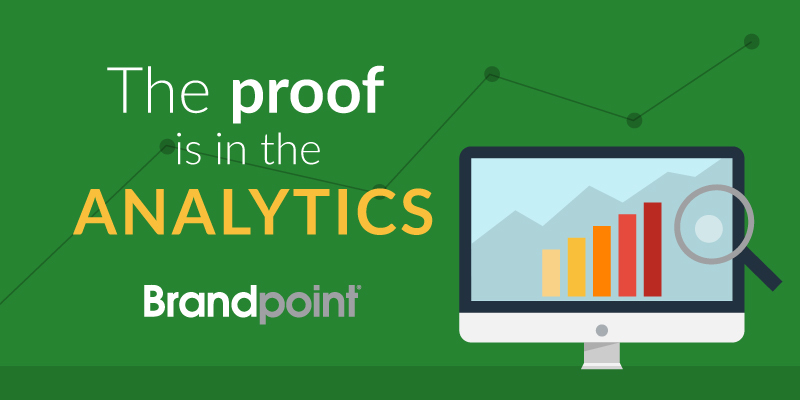 Clicking on the tab opens up your analytics and shows you your top performers. You’ll see the pages with the highest views, longest site duration, most clickthroughs and everything else we love to see as digital marketers. Savor these results and learn from them, because not every page has such a positive outlook. Farther down the page you’ll find your top exit pages — the pages that most commonly double as a springboard away from your website. You can expect this somewhat on a page that hosts blogs, as people (in theory) came to read the blog in the first place. However, every page should be driving visitors further down the sales funnel, and those pages failing to meet this goal need to be reexamined to solidify their call to action or address other content concerns. We’re judged every day by our production, and in the digital marketing space, that production is often determined by our analytics. Was your effort successful or in vain? The numbers tell the story, so don’t ignore them. Learn from the negative data and use it to rectify pages that are underperforming. And don’t forget to savor those high-performing pages. They’re the fruit of all your hard work, and you’ve earned the right to celebrate. Whether your party includes some pudding is up to you.